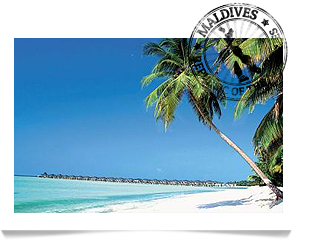 With white sandy beaches, warm crystal clear water, palm trees, colourful coral and fish and perfect waves, the Maldives is one of the last paradises on earth, a gift of nature for those who enjoy the thrills of beach and sea. Located on the equator, in the middle of the Indian Ocean, southwest of India and Sri Lanka, this archipelago forms a large “aquatic nation” of 26 atolls and around 1190 islands of which only 283 are inhabited. 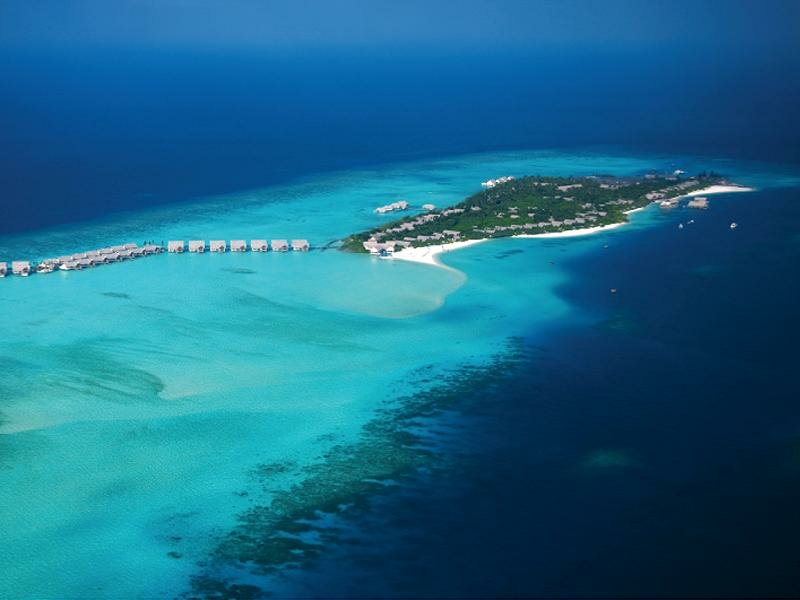 All of them are surrounded by shallow crystal clear lagoons, making the Maldives a unique tropical paradise, giving full meaning to Marco Polo’s description, “the flower of the Indies”. 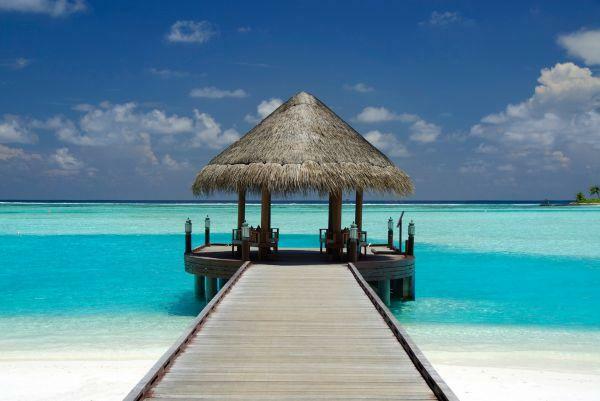 Maldives weather is tropical, warm (29-32º C) and humid throughout the year, marked by two monsoons. 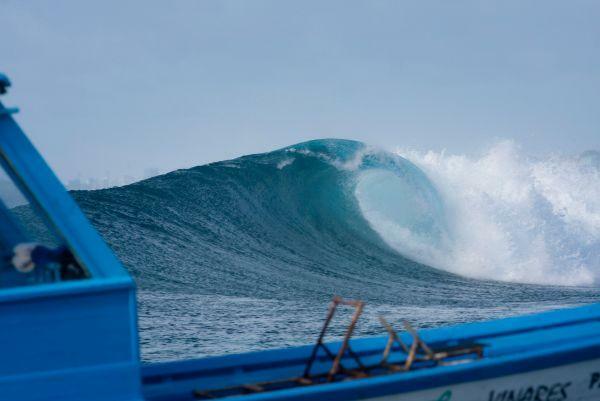 From May to October, the southwest monsoon causes unstable weather with some wind and rain, but this is also the best surf season at Male Atoll. From November to April the weather is characterized by the northeast monsoon, a dryer and sunnier season, but with less swell formation. 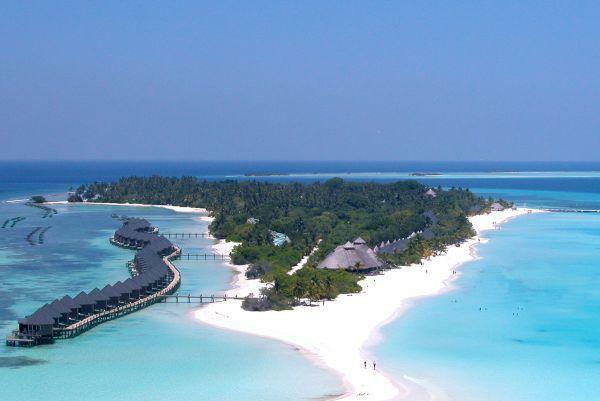 The Maldives offers two surfing seasons. From April until October, the Male Atoll (both North Male and South Male) works best. 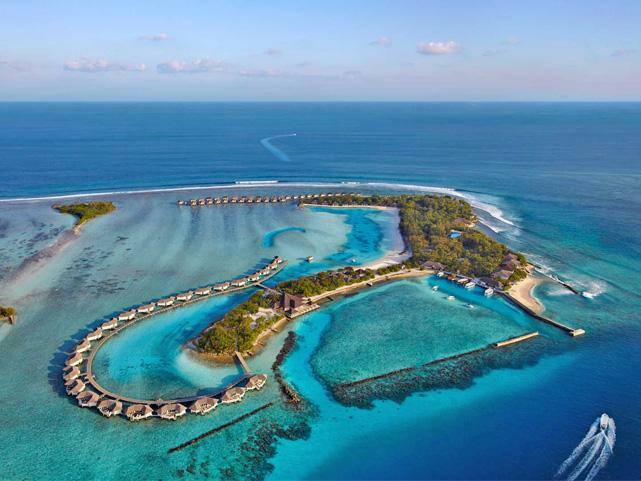 This is where most of the resorts with surf programs, and the most renowned and consistent peaks are located; March to Mid-May, and Mid-August to October is when the Southern Atolls take off, this is the more distant and remote region of the Maldives. Offering a fair amount of wave power, warm water and spotless perfection, the Maldives has become a reference for all those seeking exotic and high-quality surfing, with higher comfort and safety levels. In the Maldives you will find several types of wave, for different surfing levels, ranging from 3 to 8 feet, or even bigger on some days. Given the humid and warm weather, light and cotton clothing is best suited. For surfing we recommend booties, to prevent coral gashes, long sleeve rash guard, hat or helmet. Do not forget warm water wax, extra leash and chord, sunscreen and a board repair kit. Although board selection is always a very personal choice, for the Maldives we would recommend a quiver of 2-3 boards: One for small days, one for medium days and another for more powerful and bigger days. Resorts, Guest Houses, Boats or “combined programmes”. In the Maldives you may choose to stay in a resort, where a large variety of services and activities are available, making it an ideal choice for couples, families with children or all of those who plan to spend a week with surfing and water activities – full comfort guaranteed; or aboard a boat, enjoying direct access to the best peaks, with full schedule freedom to take the most of the surfing potential; you can also opt for a “combined programme”, relaxing some days in a resort and spending others on a boat near the peaks. The Maldives are a Muslim country and therefore there are some limitations in terms of alcohol consumption and dress code. In Male and other local islands (non-resorts) no alcohol is allowed. Outside of the resorts and the tourist boats you are advised to dress discretely and respect the Islamic restrictions and traditions. Men should always wear a shirt or t-shirt and women should keep their shoulders and thighs covered. Some local islands will nowadays allow bikinis or swimsuits in a specific beach area, but at others their use is restricted. Make sure to inform yourself about the dress code at the location you choose. The Male Atoll region is the most consistent, and is easily accessible from the International Airport. It is divided in two main areas, North Male Atoll and South Male Atoll, with the capital as a central reference point, and is located about 40 minutes from the first peaks of North Male and South Male. The North Male Atoll has some of the most well-known surf spots, such as Chickens (left), Cokes (right), Honkeys (right), Lohis (left), Ninjas (right), Pasta Point (left), Sultans (right)... Perfect right and left hand breaks for surfers of different levels of experience. 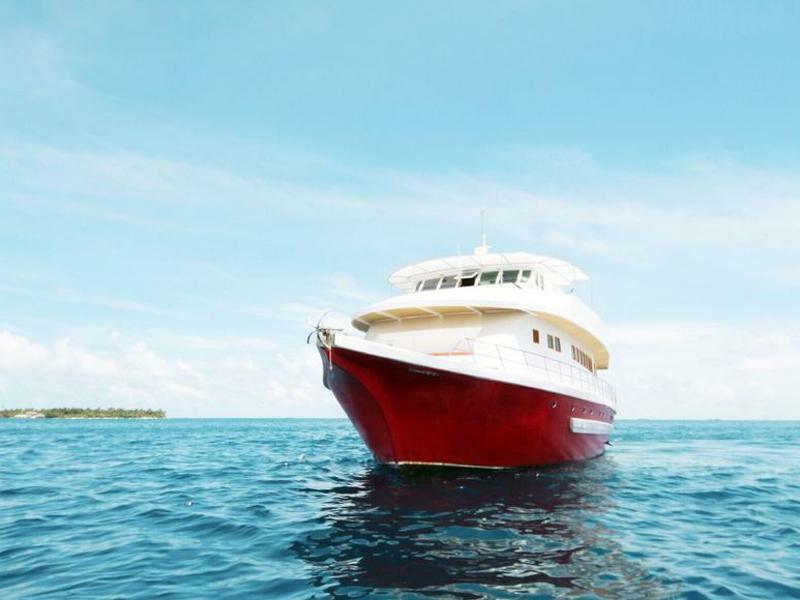 Most of the breaks are accessible by boat or, in some cases, a short paddle from the resorts, such as Adaaran Select Hudhuranfushi (Lohis), Club Med Kani (Ninjas) or Cinnamon Donhveli (Pasta Point). The South Male Atoll is more sheltered from the swell, but on the upside is much less crowded and still boasts some high quality waves, such as Gurus (right), Quarters (right) and Riptides (right), among others. 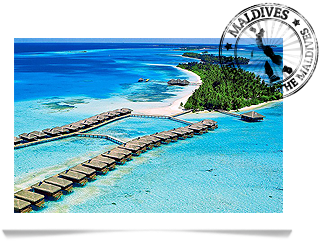 These are accessible by boat or through some of the few stunning resorts in the region, such as Holiday Inn Kandooma and Anantara Dhigu. The Central Atolls are a paradise waiting to be explored. 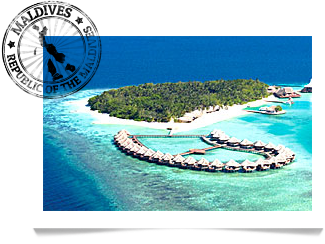 They are also the main alternative to the more famous, easily accessible and crowded North Male Atoll. Located about 75 miles (10-11 hours by boat) south of North Male Atoll, they foster uncrowded, pristine lefts, rights and combined peaks, which easily match or even exceed those found at North Male Atoll. There is good surf in the Meemu, Thaa, Faafu, Dhaalu, Thaa and Lammu atolls, the latter being the Southernmost atoll, with the most surfing spots. The best spots in the Central Atoll are Veyvah (right), Muli (right), Malik's (left), Mikado (right), Finnimas (left), Refugee's (left and right), Ying Yang (right). These atolls are accessible by one of two means; by boat, enjoying a full programme starting from Male Atoll and surfing some of the most known peaks, passing South Malé Atoll, and surfing at spots such as Gurus (left), the last spot before the final 6 hour open-sea crossing to Meemu at the Central Atolls. The other way involves taking a domestic flight from Male to Kadhdhoo (KDO), starting the programme at the Central Atolls. Located around 300 miles South of Malé, the Southern Atolls are the final surfing frontier of the Maldives. Deprived of any sort of tourist accommodation and only accessible by a two day trip in well equipped boats. Guests are picked up at Malé’s Internal Airport, following a 55 minute internal flight. Some of the better known spots in Huvadhoo and Gaafu Dhaalu Atolls include: Viligili (right) Beacons (right), Castaways (right), Blue Bowls (right), Five Islands (right), Two Ways (left), Love Charms (left), Tiger Stripes (left), among others. 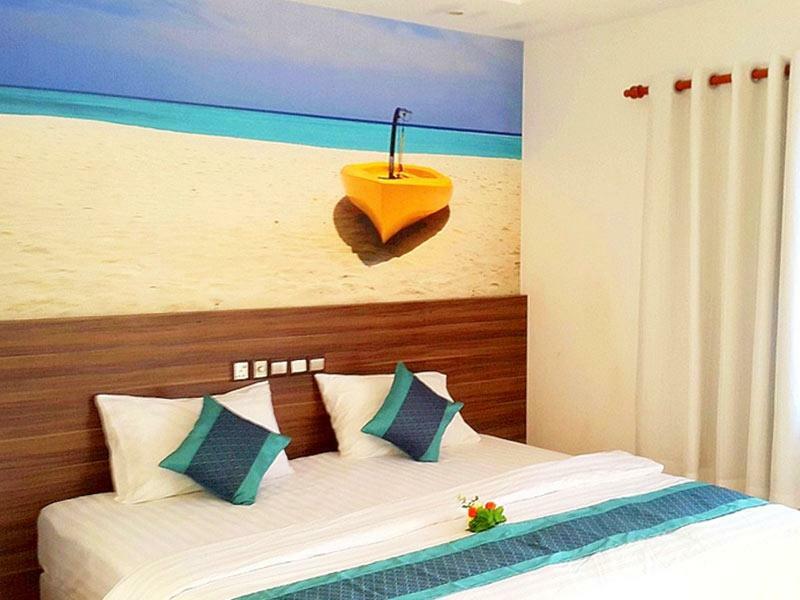 The Cinnamon Dhonveli Maldives is located on a small Island on the North Malé Atoll, 20 minutes by speedboat from the International Malé Airport. 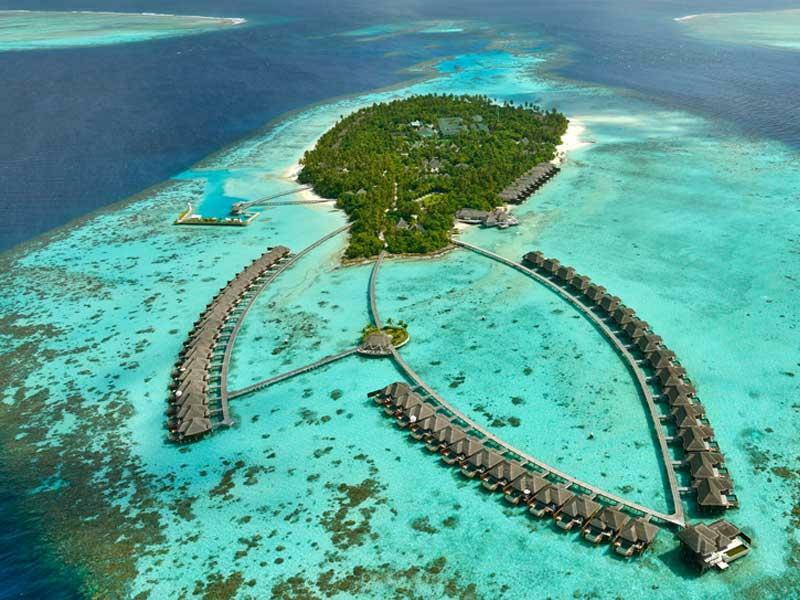 This 5 star luxury resort, part of the Four Seasons chain, is the right pick for a honeymoon or surf trip in paradise. 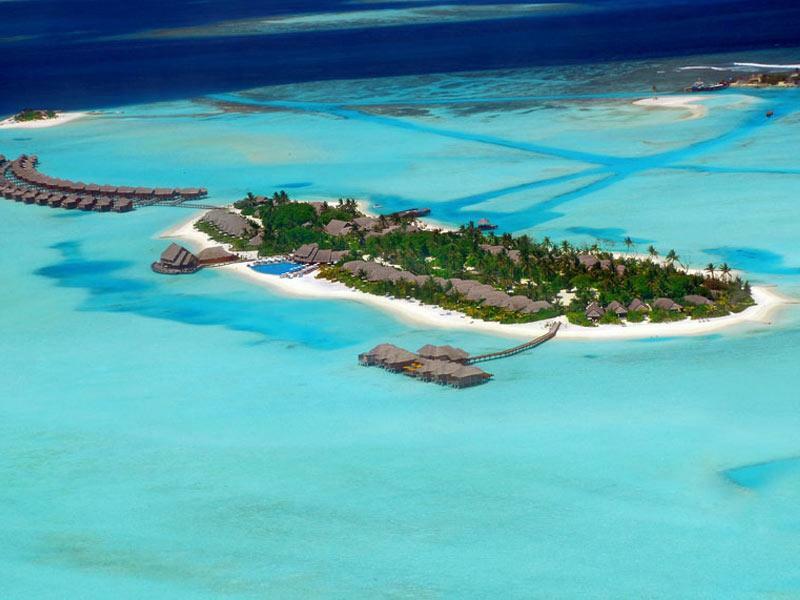 An exclusive resort on Gaafu Dhalu, in the South Atolls, the Maldives’ most remote surfing region. 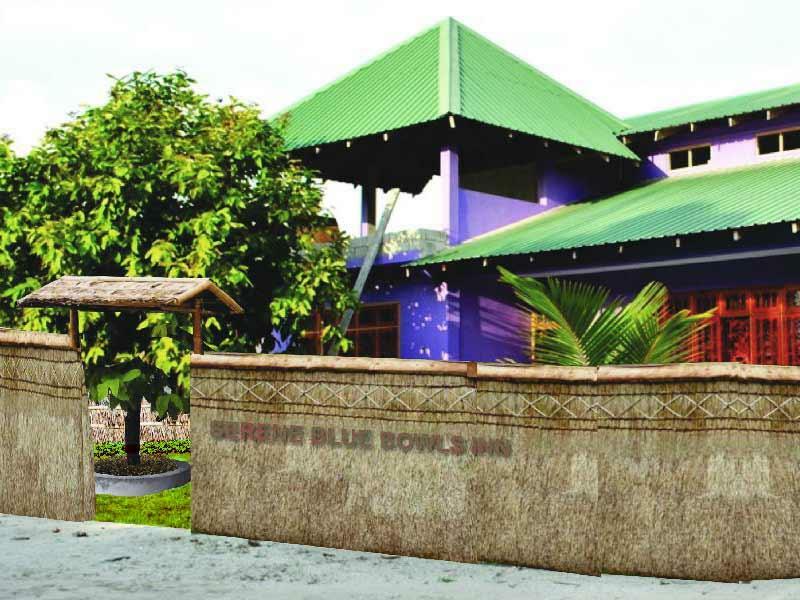 A family friendly local accommodation on the island of Vaadhoo, on the southern tip of the Gaafu Dhaalu Atoll. 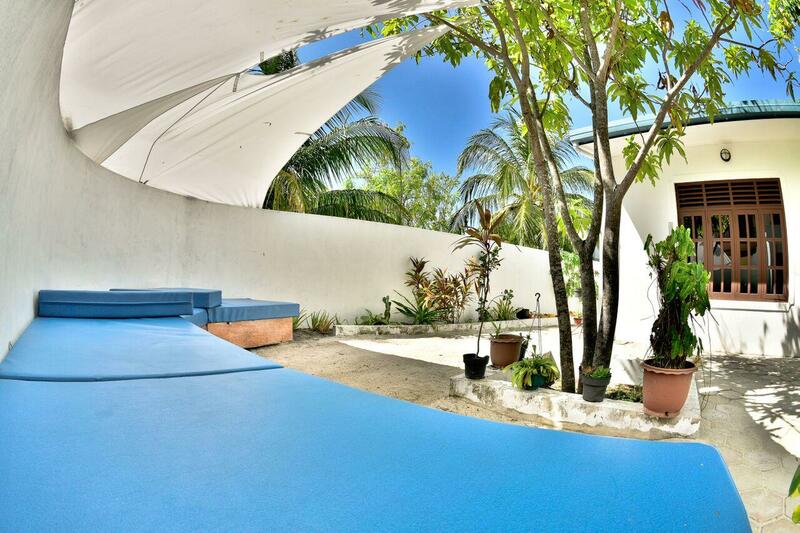 Direct access to the Blue Bowls. 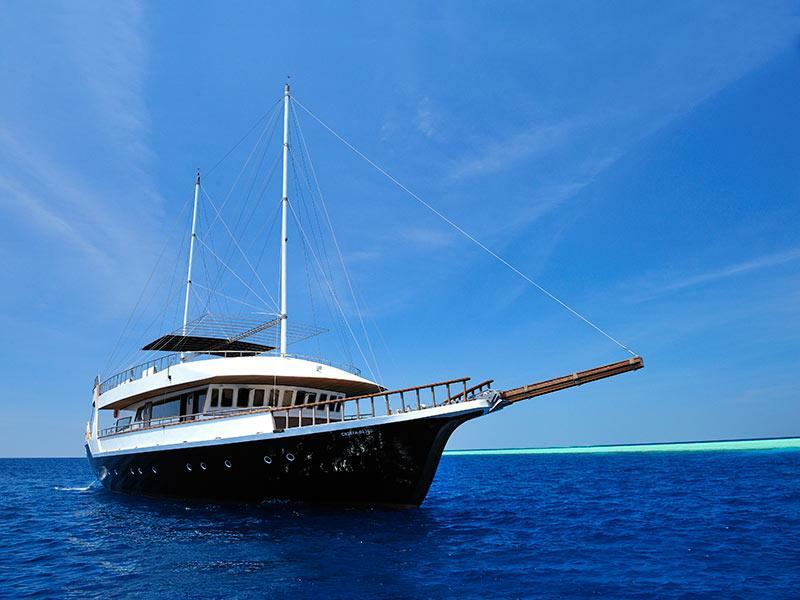 The Gurahali is a good quality boat which was built in 2008 with the best material available at an international level. 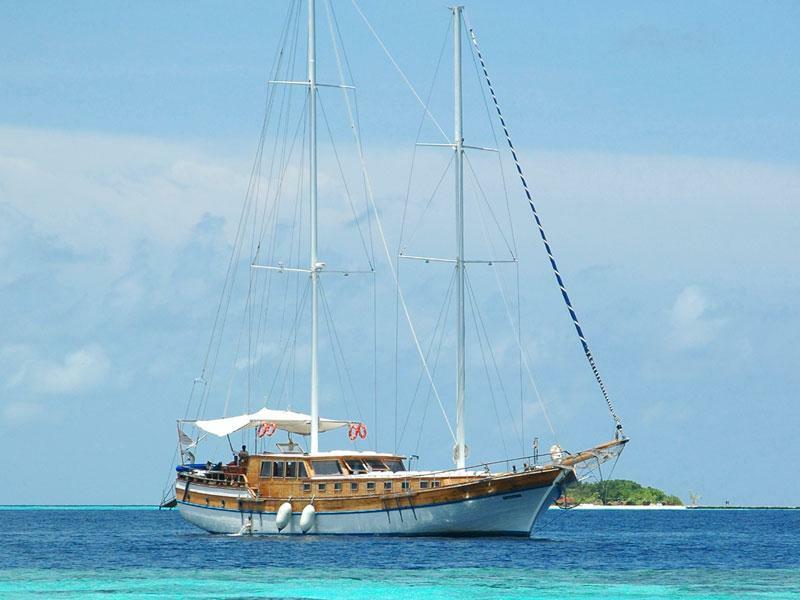 The Felicity is a 28 meter gullet style boat, spacious and comfortable, ideal for groups between 6 and 12 people. 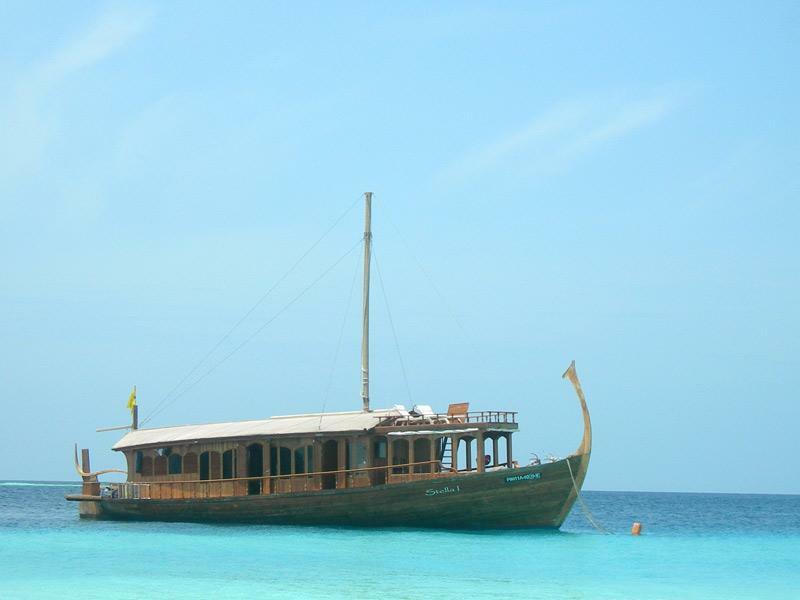 The most experienced fleet in the Maldives is made up of smaller traditional boats, ideal for small groups. 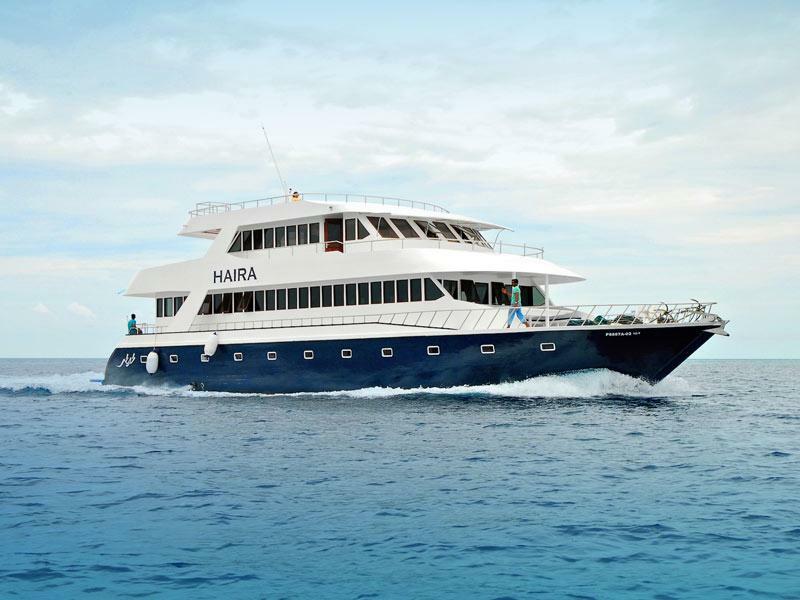 The Horizon II is a very simple vessel with six double cabins and a maximum capacity of 12 passengers. A budget choice for small groups. 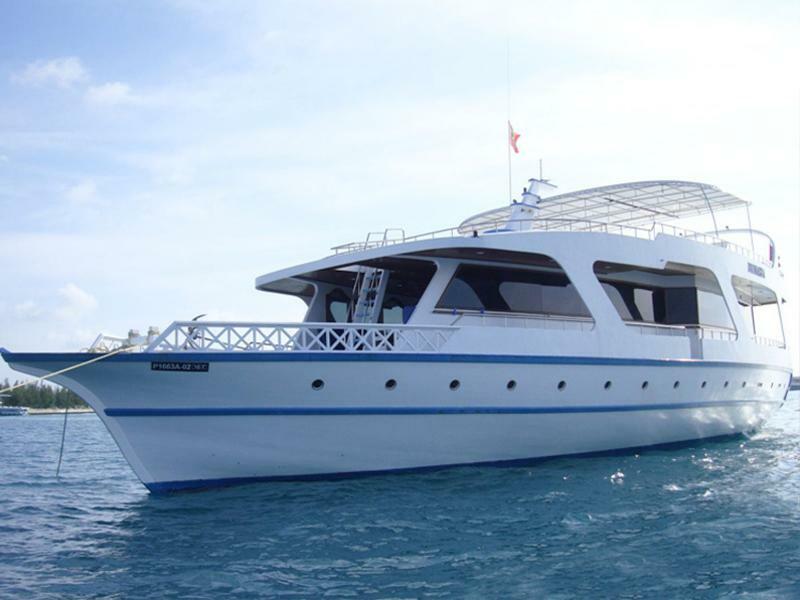 An exclusive boat with a capacity for six people, ideal for honeymoons or small groups in combination programs with resorts. 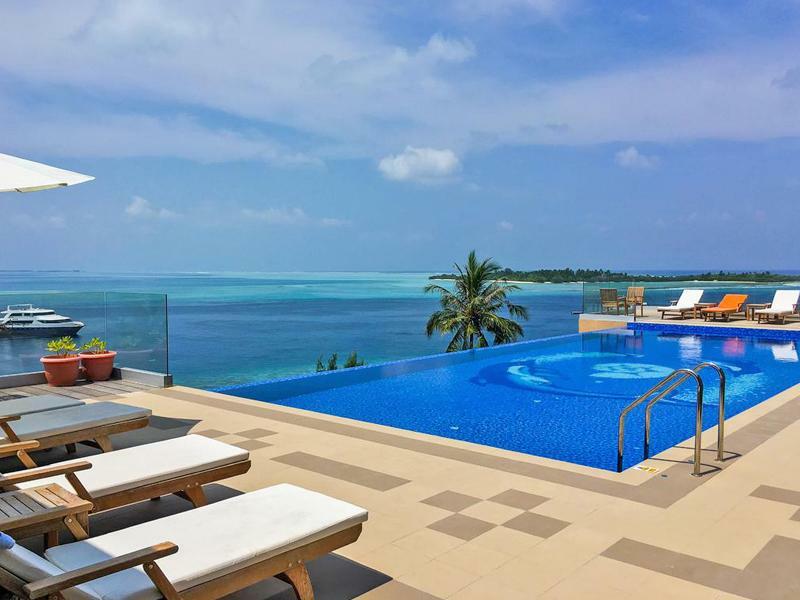 Located on the Thulusdhoo Island, in the North Malé region, it enjoys a spectacular view over the famous Cokes right hander. 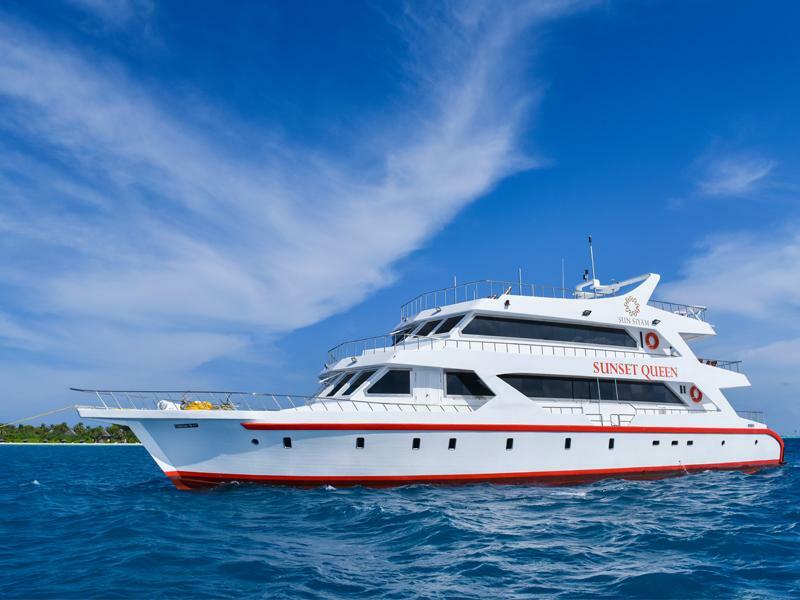 With extensive experience in surfing and diving programs under her keel, the Sunset Queen has a qualified crew to offer you the best quality service. 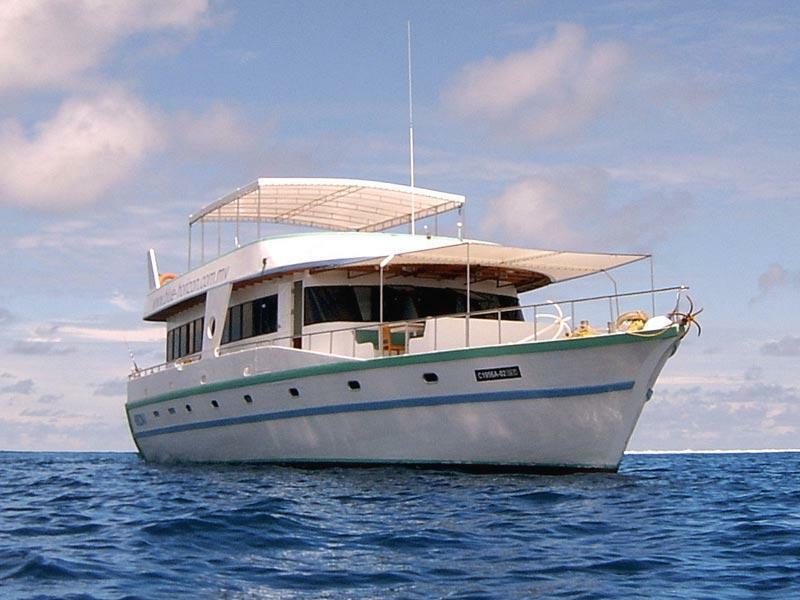 A modern and well kept boat which we recommend to anyone looking for surfing vacation in full comfort.